A romantic holiday is all about spending quality time with your significant other, being pampered, relaxed and spoilt. 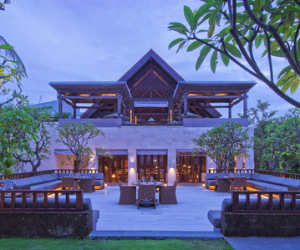 Therefore our honeymoon tour of Bali & Lombok takes you to just three of our hand picked hotels perfect for honeymooners so that you don’t feel rushed or tired at any point. We have focused on fairly adult hotels where you are unlikely to find any children. 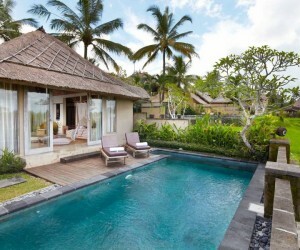 Start your holiday with 4 nights in Jimbaran which is a perfect place to start your trip. Only 20 minutes drive from the airport you will enter a different world. Jamahal Resort & Spa is a stunning resort offering villa accommodation designed especially for couples and honeymooners. The beautiful sandy beach is just a short walk away. Jamahal Resort doesn’t allow any children and offers a wonderful package which will include one free lunch or dinner, one 60 minute couples spa treatment, and an exclusive “neneq” romance bath set. Today you will take a full day tour on the way to Lovina passing many sightseeing spots such as Monkey Forest, Bedugul market, Ulundanu Temple and Gigit waterfall. 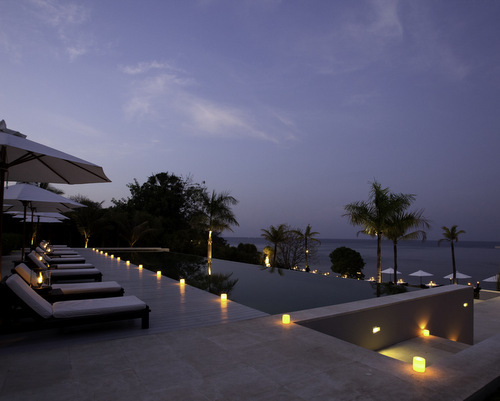 In the afternoon you will arrive in the hidden retreat in jungle-clad hills overlooking Bali’s North Coast. 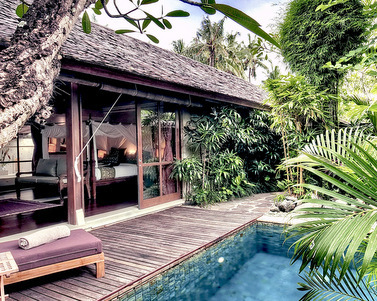 In Damai, just a few hours from the airport you feel light years away from the crowds, ready to experience the true Bali in all it’s splendour. Visit some of the island’s most iconic attractions or find your own hidden gems- or maybe just lounge by your pool, enjoying views of volcanoes in distant Java. Again your stay will include one free lunch or dinner and a 60 minute couples spa treatment. Today you will be transferrred to East Bali for the speedboat to Lombok, alternatively you can take a short flight. 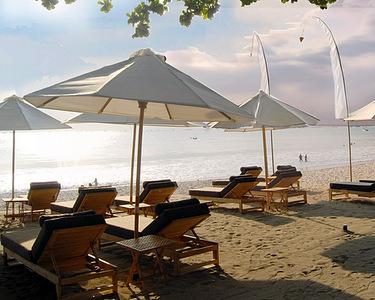 From the port of embarkation it is just a short drive to Lombok Lodge with stunning views of the Gili Islands. 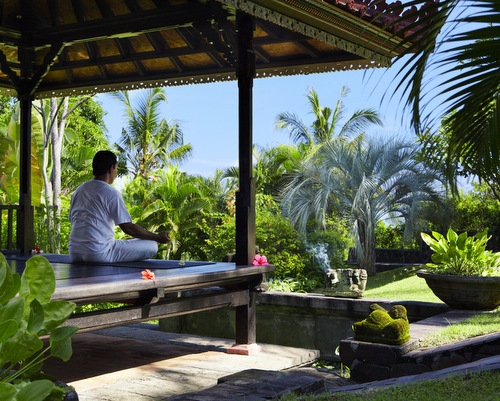 Enjoy your time at Lombok Lodge, take a shuttle for some snorkelling or diving around Gili Islands, climb Mount Rinjani or simply relax in the fantastic infinity pool or Lombok Spa. The accommodation is on half board basis. Your driver will collect you for the 2 hour trip back to the airport and your flight home, assuming you manage to get all your souvenirs and memories within your baggage allowance…. This itinerary costs from £1875 per person B&B based on 2 sharing and including all private transfers but not flights. 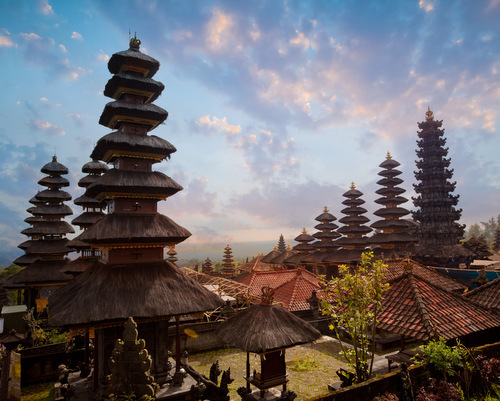 You can get flights from as little as £650 per person return travelling to Bali and returning from Lombok.